I quickly learned that nappy squares have a multitude of uses. I use a stack of them at every session. I place one between every layer on my beanbag to prevent accidents from going through more than one layer, and I also keep a stack of them folded and use them for supports under baby to give them more of a curly look. The trick is to take is slowly. Understand that you’re not going to be perfect straight away. Start with simpler poses, get those perfect and then try another one. The stack of blankets help the baby to sink down a little bit if you want her to, and I also bought a stack of white washcloths from Costco, that I bring with me to roll up and stick in between the blankets and the baby to get her propped and curled exactly how I want her. A boppy (feeding pillow) under a blanket may be a good way to get some of the poses you want, and I’ve found that if you can’t use a boppy, another good option is a neck pillow like you’d use on the plane. I actually prefer that to the boppy because it’s small, and perfectly sized for a baby’s body, so it helps keep the baby propped in place if you lay her on her belly with her arms and head resting on the pillow. Of course, last week I forgot to load it in my car for a newborn session. I got to the house and realized it was missing. They didn’t have any ottomans of their own, so instead I pulled the two large bottom cushions off their couch and stacked them on top of each other. For both the cushions and the ottoman I layer multiple blankets on top of each other. In between the blankets I have a few layers of waterproof sheets that are leftover from my own children, and a heating pad. 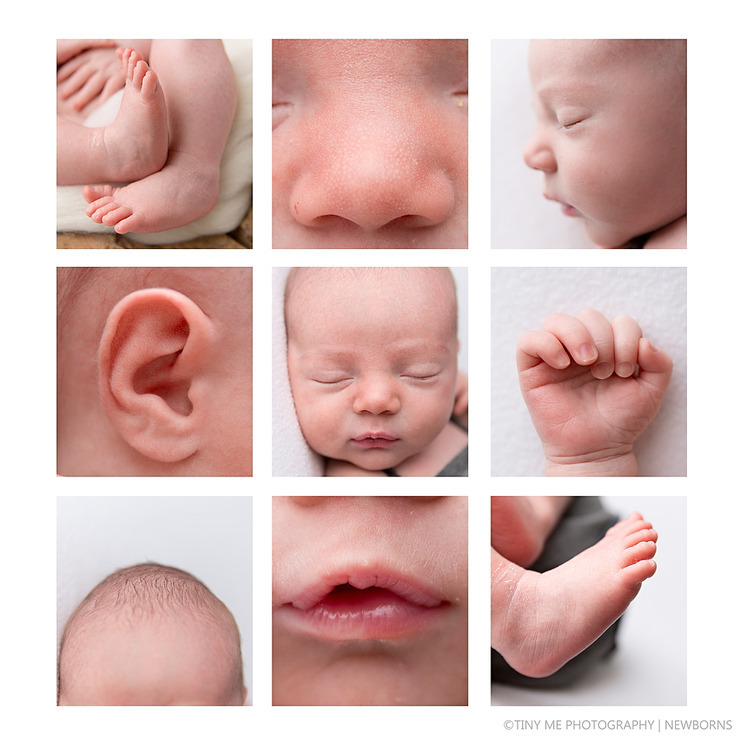 The multiple layers of blankets make it soft and pliable, and the top few layers are the various backdrops I use to photograph the babies on, so I just keep removing layers for the different backgrounds (see below). First of all, you need something to put the baby on. If you are working on posing the baby (versus lifestyle photography which requires no posing), you need something that is slightly malleable. Many professional photographers buy expensive beanbags, but you don’t need that. I actually use a leather ottoman we have here in our house, and when I do sessions at client homes I bring it with me. 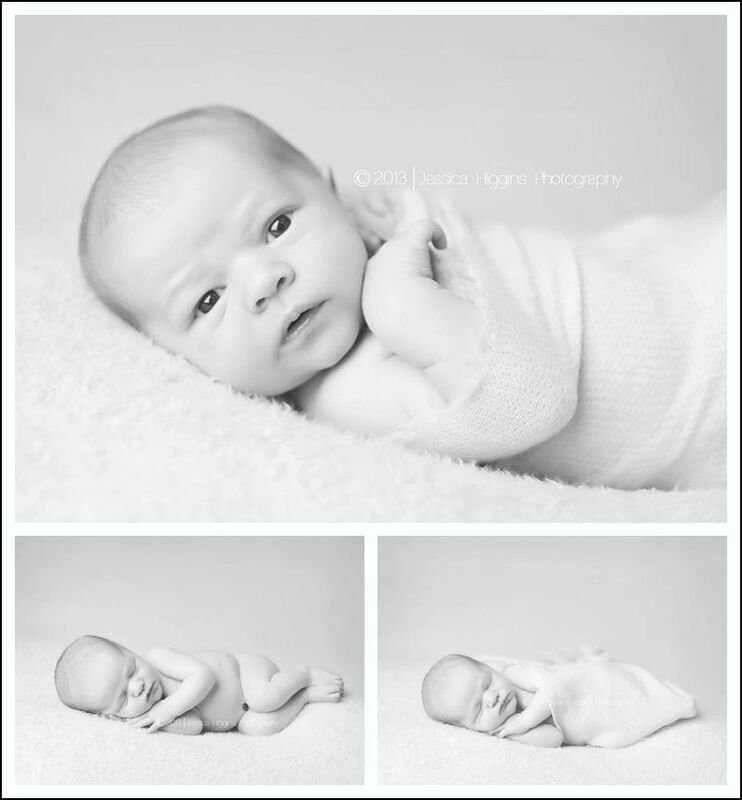 With more confidence in your newborn photography you’ll find that you don’t rush through sessions quite so much. In my early days as a newborn photographer I used to get so nervous about not getting “the shot” that I would see something that wasn’t quite right and wouldn’t fix it. Nowadays I really take my time much more. I make sure that wraps are tight and don’t have creases, I fix backdrop fabrics to remove wrinkles, I spend more time adding support to make baby more curly. Obviously if you have a very fussy baby you can’t always be such a perfectionist as they will wake up and you might not get anything, so the best thing to do is to follow your instincts and get a “safe shot” before you go perfecting things just in case! Newborn photography is challenging. It’s physically and emotionally draining – particularly when you’re first starting out. When you’re just learning there is a huge learning curve to getting the photos just right. Mastering the poses, your camera angles, working with babies who just don’t want to cooperate. There is so much to think about! If you’re anything like me you’ll see amazing photographs online from photographers you look up to and expect that you’ll be able to replicate the shot (or at least something similar). When it doesn’t quite work out as you had planned – you get a challenging newborn who doesn’t want to play ball, or you are all excited to see the photos from your session only to look at them on your computer screen and realise you’re so far away from where your idol’s work is. It’s really easy to get disheartened. I used to put so much pressure on myself when I was first starting out. I wanted to get it perfect right from the start. I put so much pressure on myself that I wouldn’t sleep the night before a photo shoot and I would be (literally!) sweating bullets during a session. It was scary! 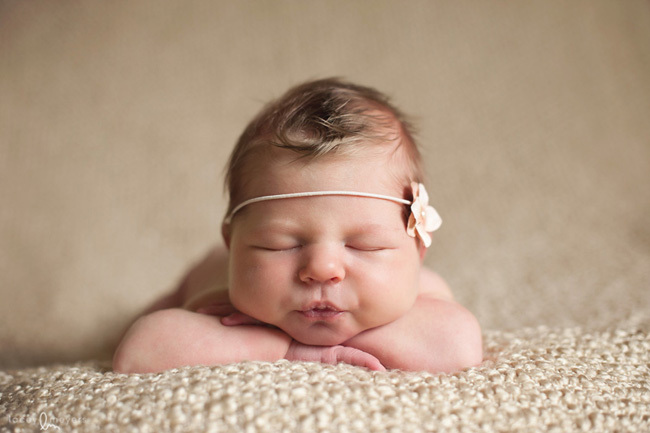 Beginner Newborn Photographer Mistake #4: Get the light right! Beginner Newborn Photographer Mistake #2: Don’t expect to get it right first go! This week on dPS we’re featuring articles all about different kinds of people photography including portrait, event and travel photography. See all the previous ones below, this article is the last one in the series. I had a fake wood floor that was made of paper so I also had a pull out shelf from our armoire that was big enough to support the fake floor on the carpet. I had heaters, and backdrop stands, and so many blankets and backdrops they over took me. Every time I read an article about a photographer and what gear she used to get ONE specific photo, I would hunt down those items for myself. They mentioned she used rolled up receiving blankets under the baby’s head? Fire up Amazon, I need to get myself some of those. When would I be satisfied? I wanted to spend money on lenses, and photography classes, but I was so sure one more prop would produce the most amazing baby portrait, so that’s where all my money went. If you’re doing posed newborn photography, no doubt a lot of the photos you take will be of babies with no nappy on. Make life easy on yourself and make sure you have some sort of protective layer between each of your backdrops on the beanbag or under your baby in a prop. I learned this the hard way. At one of my very first sessions I had 5 blankets all perfectly set up on the beanbag ready to go. I put baby on there and about 5 seconds later he promptly pooed all over it. Silly me had forgotten to put anything in between the layers and it went through all 5 layers of blankets. Joy! So I mentioned lifestyle photography. It’s something that is becoming ever more popular. 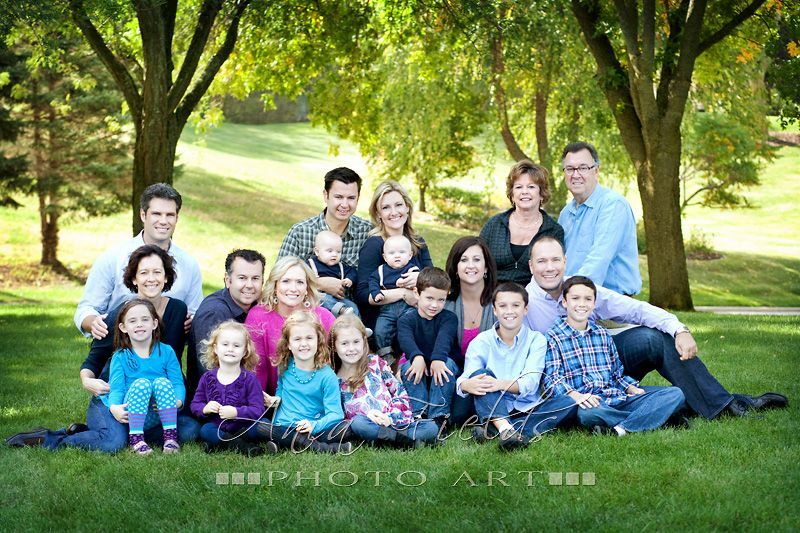 Essentially, it’s about capturing photos without posing the family too much. Of course you will set the scene. You might move some furniture around, lay a blanket on the ground, and tell the family members where to sit or stand. But beyond that, you let them sort of do their thing. The photos are natural, realistic, and lovely. But I think lifestyle alone is not enough when we’re talking about newborn photos. Of course they are easier, and require almost no additional props at all, but most people want at least two or three posed photos of the baby alone. When you’re first starting out as a newborn photographer it can be difficult to be yourself. Often people see images online that they try to copy and replicate without thinking about their own creativity. I found that with more experience I actually spend so much less time looking at and comparing my work to other people. I often think about the lyrics in that old 90’s song ‘Sunscreen’… “Sometimes you’re ahead, sometimes you’re behind, The race is long and in the end, it’s only with yourself”. I used to get so disheartened by comparing my photos with photographers that I admired. It was only once I stopped doing that, and I started focusing on my own work, my own creative voice, that I fell more in love with what I do. There’s someone out there for everyone. To shine in this industry you need to find what makes your heart sing and do it! People who love what you do with gravitate towards you. You and your photography are unique. Don’t try to copy anyone else. Look at other photographer’s work for inspiration, but never try to copy them. Now for the accessories. Again, you don’t have to spend a ton of money on this stuff, and believe me, it’s easy to rack up a pretty big bill once you start purchasing. My favorite backdrop is a stretchy knit fabric that when smoothed over my blankets, has no wrinkles. I bought it at a craft store. I also bought an extra, smaller piece of the same fabric to wrap the babies in. I love the continuous look. But if you don’t want to buy anything at all, look around – you probably have some scarves, shawls, or small baby swaddling blankets you can use. I’m not a huge fan of big bows, but I do like small tiebacks. You can purchase one of two of them, or make your own with some twine and pretty beads. We all start somewhere! Here is some of my earliest work when I was still learning compared to last year. Photography is forever a work in progress and you never stop learning and improving your work. Don’t expect to get it perfect straight away. When I first started newborn photography I had a little experience as a photographer but I really underestimated just how specialised being a baby photographer was. One of the most common beginner mistakes is to “ghost light” babies – that is, to place your baby so the light is coming up their face rather than from the top of the head down. This is a fundamental rule of newborn photography. Sometimes when you first start out you’re so focused on everything going on that you can forget. Before you take the shot, take a quick breath and check the direction of light. Look for a butterfly shadow under the nose. If you are finding it hard to see it, squint your eyes a little. It helps! These days I naturally gravitate towards neutrals and pastels: browns, creams, pinks and blues. My favourite fabric store is A Little Life. I think I have one of every fabric she has! 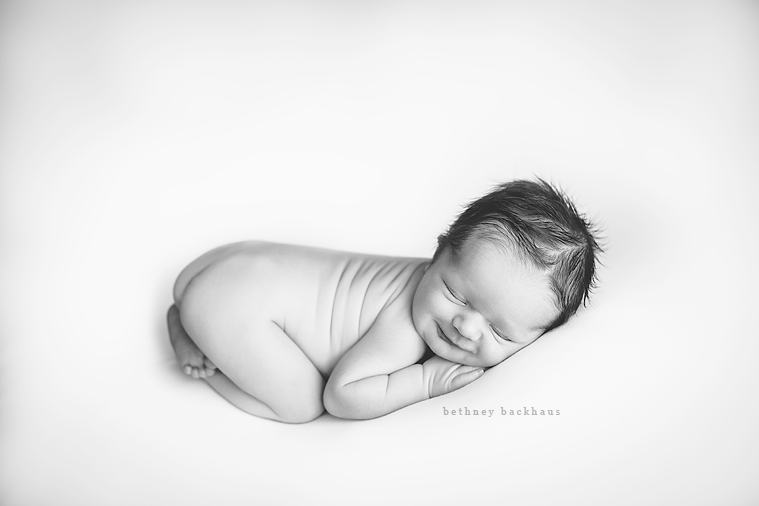 When I first started taking on clients, as a new photographer I thought newborns would be my favorite. They seemed so easy, lying around, ready to be molded into any pose I desired, nothing to it. Fast forward five years and hundreds of dollars later, they are still my favorite, but I’ve wasted a lot of money, sweat, and tears trying to figure out how to do it correctly. If you are just starting out, either with new clients, or your own baby, this article is for you, before you throw away a lot of money. Last year I read a photography article called, Less is More. It opened my eyes. It struck me that the baby is the art, not the props. The props will probably date your photograph (have you seen the photos that are black and white except for a red rose in color?). 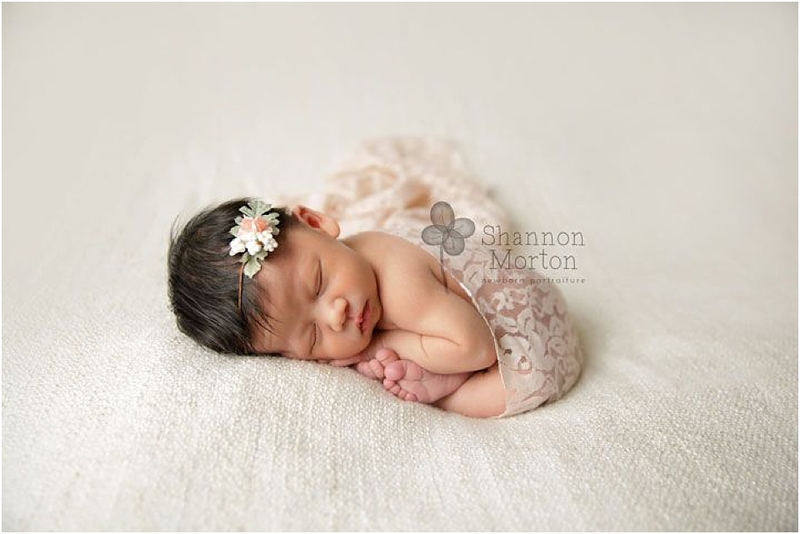 But a baby, on a simple background, with only the simplest of accessories, will be stunning, because of the baby. That is why I’m here to tell you, save your money, especially if you’re just starting out. You can achieve phenomenal photographs of babies with only the very basics, and it’s so much easier than trying to fit her into that basket while trying to keep her asleep! I figured to get the cutest newborn portraits I needed lots of hats, bows, blankets, and baskets. Then I needed colors that worked for boys, and ones that worked for girls. I bought tiny cribs, and big wooden letters to match the baby’s first initial of his or her first name. My house was so cluttered with photography gear we weren’t able to house our guests in our guest room, and I’m not even done. One of my first newborn photography sessions. I decided to use a bright red blanket. Oh dear! I can’t tell you how many people contact me to ask me the “secret” to getting nice skin tones in babies. Honestly the two most important factors are good light and good exposure in camera. When I first became a newborn photographer I had a terrible habit of underexposing baby’s skin. I would try to fix it in Photoshop but once you underexpose it is so much harder to get nice skin tones. It seems to grab more red from the babies skin and leave you with yucky looking images. If you get it right in camera, the results will be so much better and need far less work in post-production (who wants to be staring at a screen all day?! Not me!). For caucasian babies, you should be aiming to overexpose the skin by about a third of a stop for the best results and that lovely dreamy creamy skin that everyone wants! Good luck, and remember it’s the baby you’re trying to capture, not the props. Don’t forget those long eyelashes, those tiny toes, and those perfect pouty lips. Once you start looking around at what you already own, I bet you can find many different options for positioning, backdrops, and wraps. To add some variety you can purchase some scarves, head ties, or small pieces of material at the fabric store that won’t set you back a lot of money, but will bring the needed variety in your photos. I like a continuous look for my backdrop, so I use the same material under the baby and stretch it up to create the background behind the baby. I own a stand that I bought for the purpose of holding up backdrops (or you can make your own), but you don’t need one of those. Invest in some heavy-duty clips, and you can pin up the material or blanket to anything above the baby. I’ve used bed frames, chair backs, stepladders, tables, etc., it’s just a matter of looking around you to see what will work. When I’m at a client’s house I pull stuff from all over the house to use during the session. I always put it all back the way I found it, and no one has ever had any issues. Looking back, I can’t believe I ever thought that buying a bright red blanket to use in my newborn sessions was ever a good idea. In those days, there weren’t really many prop vendors here in Australia – we certainly didn’t have the amazing range of fabric vendors that we do now. So what was a girl to do? I went to my local IKEA store and bought blankets in all sorts of colours. Any photographer knows that red skin in newborns is the bane of our existence. We spend a lot of time removing red skin tones in post production. How could you add more red to make it worse? 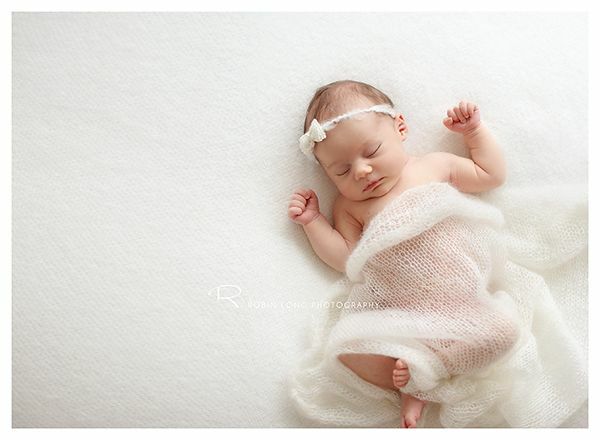 Photograph a baby on a bright red blanket for a beautiful red colour cast. Don’t do it!!! I only shoot on black, white, and cream. I have gotten away from colored blankets, but that’s my choice. I used to have colored blankets as well, and you may still want that, but don’t buy the expensive options off of etsy, use blankets you already own. I do recommend neutral colors though because bright reds, pinks, and greens can cause colorcasts on baby’s skin. We all start somewhere! When I became a newborn photographer after the birth of my daughter in 2012, it was a difficult learning curve. I really had very little idea about how to capture beautiful images like the ones I had seen online. I didn’t know anyone in the industry, and at that time there were very few photographers offering workshops to learn. I made a LOT of mistakes. So today I decided to write a blog post about my top 8 mistakes that I made in those first couple of years as a newborn photographer. If you’re a beginner newborn photographer, or you aspire to be one, I hope that these help steer you on a better path!